Please measure your neck using a piece of string and choose a length that works for you. This necklace is hand made and knotted on nylon. All findings are 925 Sterling Silver. 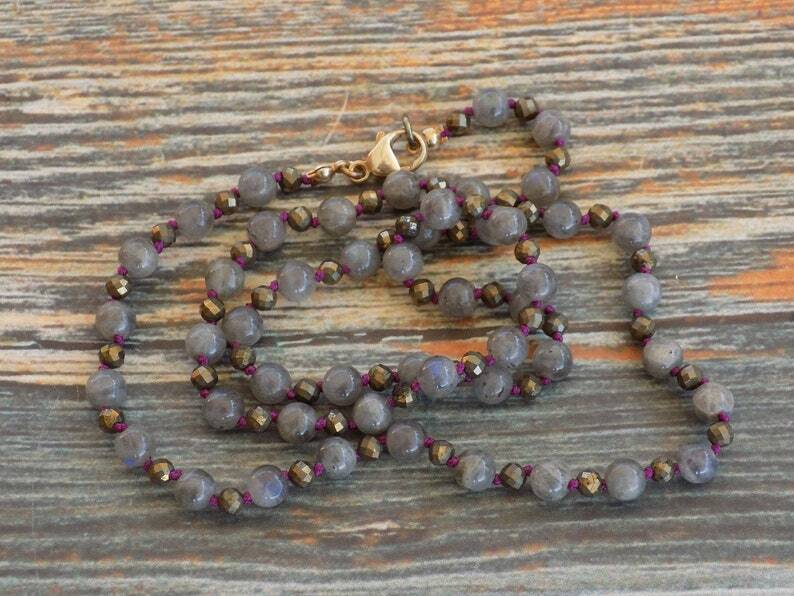 To Read More about the Gemstones contained in your necklace, visit https://www.facebook.com/notes/momma-bean-stalk/gemstones-i-have-around-and-their-uses/390634854376930. If you would like a slight variation in the findings on this piece, such as a different clasp or an extra clasp to turn it into a beaded back, please send me a message after your purchase. Some changes may require a small fee. This necklace is intended to be worn by an adult. Buyer assumes all responsibility for the safe and proper use of this product and should occasionally check the product for wear and tear.